Transphobia is going to be harder to take down than homophobia, I reckon. 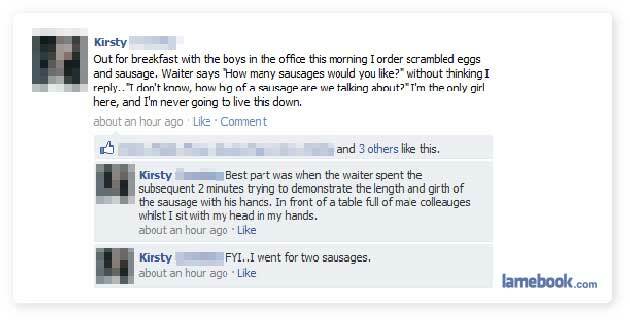 In the office world, it’s always one chick and at least 3 guys going out to lunch. It’s like a college party, you tell one guy, he tells 10 guys and they all go. Kirstu totally knew what she was doing. One of those “Opps! look what I said? Arent I cute?” Kinda attention whores. pfft!